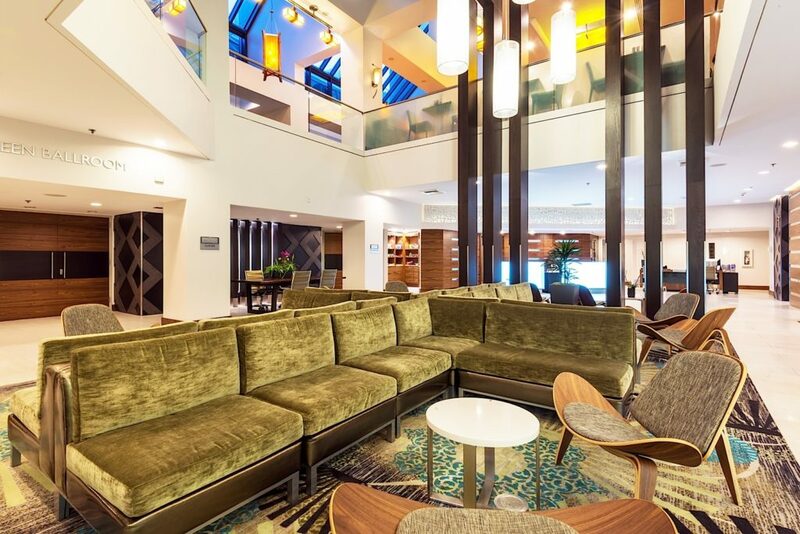 The cool, comfortable (and somewhat unconventional) Crowne Plaza Hotel is located in the heart of downtown Seattle, within walking distance of numerous attractions, entertainment venues, and restaurants. Rising 34 stories above the city, the Crowne Plaza offers stylish décor combined with stunning views of Seattle’s iconic skyline. Amenities include spacious rooms with plush bedding, large flat-screen HD televisions, complimentary high-speed wifi, in-room safes, mini fridges, and a newspaper delivered to your door every weekday morning. The following hotels are located very close to the conference venue. Follow the signs in the airport terminal to the Link Light Rail station. It’s a short ¼ mile walk. The current fare is $3 each way. Take the light rail to the University Street Station and exit at 3rd Street and Seneca Street. Walk 2½ blocks straight up Seneca Street to the hotel. Airport shuttles for most downtown hotels run every 30 minutes. The cost is $18 each way. Reservations are required for pick up at the hotel. Taxi fares between the airport and downtown are in the $40–$45 range, plus gratuity. Town car fares between the airport and downtown are approximately $50 each way, plus gratuity. Cars must be reserved in advance. Access to the hotel lobby and parking is from Seneca Street. Parking at the hotel is valet only. The overnight rate is $39 plus tax. Overnight parking is guaranteed for hotel guests only. The early bird daily parking rate is $15 (arrive before 9:00 am, 10 hours maximum) and may not always be available. Use SpotHero to reserve your parking in advance and save! SpotHero is a parking reservation service that connects drivers to discounted, convenient parking. Visit the special TypeCon Parking Page and save up to 50% off of regular drive-up rates. New to SpotHero? Download the app for iOS or Android and enter promo code TYPECON for an extra $5 off parking!